AccuBeat - RFMW UK, Ltd.
AccuBeat Ltd. is a leading designer and manufacturer of exceedingly accurate Frequency and Timing solutions and products suitable for Aerospace, Defence, Telecommunications, Research and other applications. 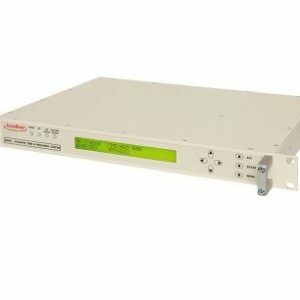 Based on over 20 years of experience our patented Rubidium Atomic Clock or OCXO technology with optional GPS disciplining provide frequency accuracy in the range of 10-12, frequency stability in the range of 10-13 and time accuracy in the range of nanoseconds. 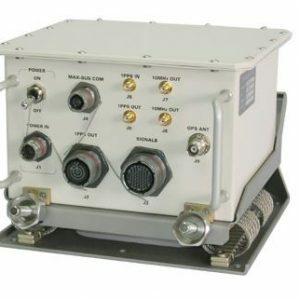 Their products and platforms are deployed in sensitive Military and Government programs worldwide and have earned the trust of the IDF, the USAF, Project Galileo and others. In the commercial field their equipment can be found in Telecommunications equipment, SDH networks, cellular base stations, telemetry appliances, calibration and testing solutions and in research facilities worldwide. AccuBeat’s rubidium frequency standards use a unique Digital Frequency Locked Loop (DFLL) to implement the disciplining of the crystal oscillator to the atomic resonance frequency. A microprocessor is embedded in the DFLL, with a unique patented algorithm. This algorithm reduces the sensitivity to external disturbances, allows easy lock at start, and enables the implementation of a unique hold-over mode. This keeps the internal oscillator running with the last memorized frequency when the lock is lost. These features make the rubidium frequency standard a very smart clock. In addition, the microprocessor enables user access to internal parameters allowing very fine control of the digital frequency over a wide range. 1. The output frequency is locked to the energy level difference of free atoms. 3. Long interrogation time reduces frequency uncertainty (by Heisenberg principle: (f ~ 1/(t). 4. The atoms’ thermal motion is reduced as much as possible (eliminating Doppler shift of the 1st and 2nd order).